You’ve decided to lease a new Honda vehicle. Great choice! Honda of Jefferson City is proud to offer competitive leasing deals and special offers to help you afford the Honda of your dreams. Our dealership provides some of the best Honda lease deals in the Jefferson City and Columbia, MO, areas. 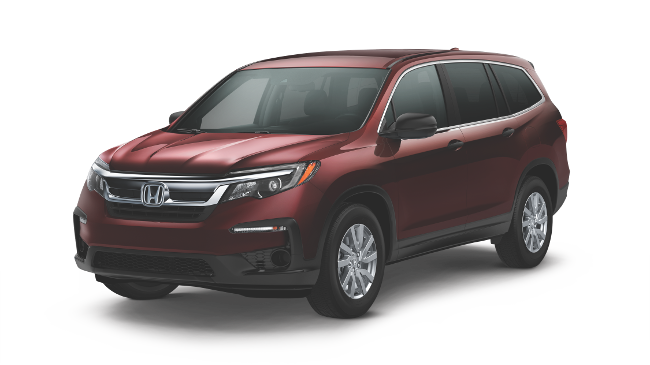 Browse through our extensive new inventory to view all of our high-quality Honda cars, trucks, and SUVs! And be sure to schedule a test drive with the models you’re interested in. Continue reading to explore lease deals for some of our most popular models. If you have any questions regarding these offers, give our team a call at (573) 893-7676 and we’ll gladly assist you. 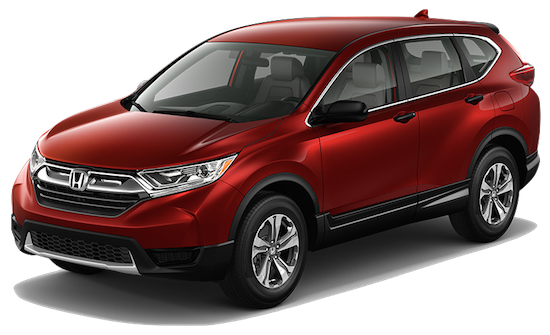 Take home the rugged design and modern sophistication of the Honda CR-V when you take advantage of one our impressive CR-V lease deals. Your daily driving will forever be changed thanks to this efficient and technologically savvy crossover SUV. *Disclaimer: Includes down payment with no security deposit. Excludes taxes, title and either dealer fees or documentary service fee. For well-qualified lessees. Closed end lease for 2019 CR-V Continuously Variable Transmission AWD LX (RW6H3KEW) available from April 2, 2019 through April 30, 2019, to well-qualified lessees approved by Honda Financial Services. Not all lessees will qualify. Higher lease rates apply for lessees with lower credit ratings. MSRP $26,795.00 (includes destination, excludes tax, license, title, registration, documentation fees, options, insurance and the like). Actual net capitalized cost $24,537.67. Net capitalized cost includes $595 acquisition fee. Dealer contribution may vary and could affect actual lease payment. Total monthly payments $9,324.00. Option to purchase at lease end $15,809.05. Must take new retail delivery on vehicle from dealer stock by April 30, 2019. Lessee responsible for maintenance, excessive wear/tear and 15¢/mile over 12,000 miles/year for vehicles with MSRP less than $30,000, and 20¢/mile over 12,000 miles/year for vehicles with MSRP of $30,000 or more. See your Honda dealer for complete details. Affording the new Honda Accord has never been easier! Our Accord lease deals will allow you to drive home your favorite Accord model at a price your wallet will be thanking you for. The thoughtful engineering and head-turning style of the Honda Accord sedan will take your daily commute to the next level. Disclaimer: *Includes down payment with no security deposit. Excludes taxes, title and either dealer fees or documentary service fee. For well-qualified lessees. Only for residents of: AK, AL, AR, CA (Northern), CO, DC, GA, HI, ID, KS, KY, LA, MD, MO, MS, NC, OK, OR, SC, TN, TX, UT, VA, WA, WV, WY. 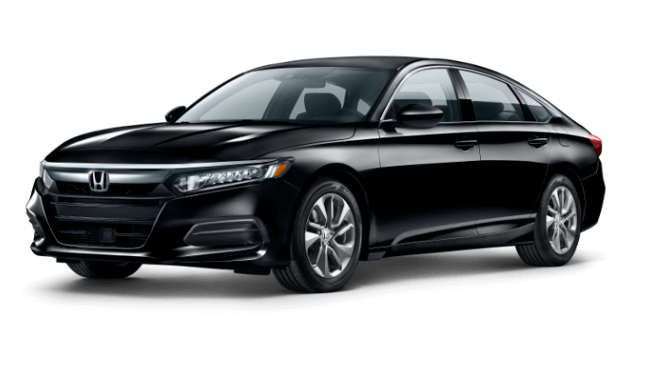 Closed end lease for 2019 Accord Sedan Continuously Variable Transmission LX (CV1F1KEW) available from April 2, 2019 through April 30, 2019, to well-qualified lessees approved by Honda Financial Services. Not all lessees will qualify. Higher lease rates apply for lessees with lower credit ratings. MSRP $24,640.00 (includes destination, excludes tax, license, title, registration, documentation fees, options, insurance and the like). Actual net capitalized cost $20,970.31. Net capitalized cost includes $595 acquisition fee. Dealer contribution may vary and could affect actual lease payment. Total monthly payments $8,964.00. Option to purchase at lease end $14,291.20. Must take new retail delivery on vehicle from dealer stock by April 30, 2019. Lessee responsible for maintenance, excessive wear/tear and 15¢/mile over 12,000 miles/year for vehicles with MSRP less than $30,000, and 20¢/mile over 12,000 miles/year for vehicles with MSRP of $30,000 or more. See your Honda dealer for complete details. When you lease the new Honda Civic, you’ll stand out from the crowd thanks to this sedans strikingly sporty profile and refined features. Leasing a Honda Civic through Honda of Jefferson City is the economical choice. Disclaimer: *Includes down payment with no security deposit. Excludes taxes, title and either dealer fees or documentary service fee. For well-qualified lessees. Only for residents of: AK, AL, AR,CA (Northern), CO, DC, GA, HI, ID,KS, KY, LA, MD, MO, MS,NC, OK, OR, SC, TN, TX, UT, VA, WA, WV, WY. 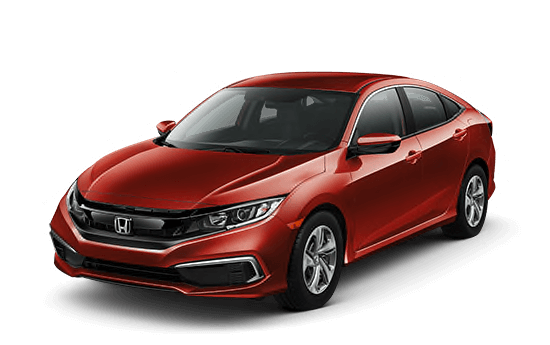 Closed end lease for 2019 Civic Sedan Continuously Variable Transmission LX (FC2F6KEW) available from April 2, 2019 through April 30, 2019, to well-qualified lessees approved by Honda Financial Services. Not all lessees will qualify. Higher lease rates apply for lessees with lower credit ratings. MSRP $21,170.00 (includes destination, excludes tax, license, title, registration, documentation fees, options, insurance and the like). Actual net capitalized cost $17,109.66. Net capitalized cost includes $595 acquisition fee. Dealer contribution may vary and could affect actual lease payment. Total monthly payments $6,804.00. Option to purchase at lease end $12,490.30. Must take new retail delivery on vehicle from dealer stock by April 30, 2019. Lessee responsible for maintenance, excessive wear/tear and 15¢/mile over 12,000 miles/year for vehicles with MSRP less than $30,000, and 20¢/mile over 12,000 miles/year for vehicles with MSRP of $30,000 or more. See your Honda dealer for complete details. Arrive in style everywhere you go in the Honda Pilot. This midsized SUV is a perfect choice for families. With its spacious seating, elegant exterior, and advanced technology, you’ll be ruling the road every mile of the way. Take advantage of a Honda Pilot lease offer today! *Offer plus tax, title, license, and dealrship fees to well-qualified buyers. 36 month closed end lease to qualified buyers with approved credit. No security deposit. $0 due at lease signing. 36,000 mile lease. See salesperson for details. Offer expires 4/30/19.